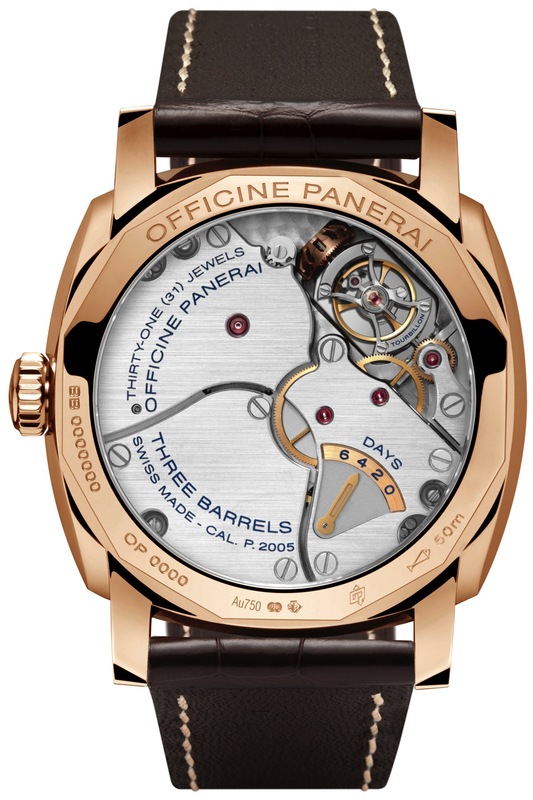 Officine Panerai has unveiled a brand new Tourbillon piece at this years Watches and Wonders in Hong Kong. 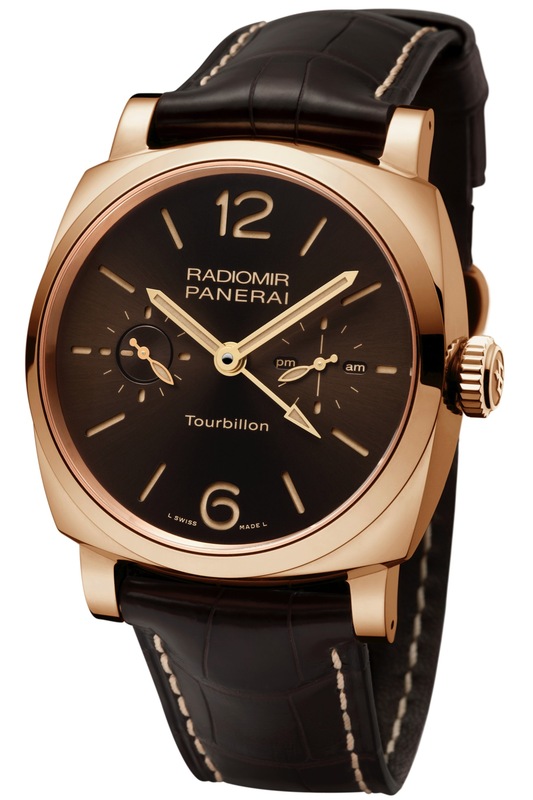 The Panerai PAM558 Radiomir 1940 Tourbillon GMT Oro Rosso in 48mm is a site to behold. This piece featuring a Tourbillon regular, second time zone and power reserve of 6 days is definitely geared to an enthusiasts who are looking for a high level of technical complication combined with a classic simple design. 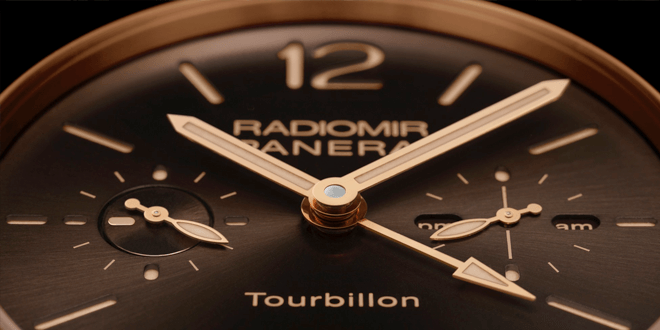 This special edition piece limited to only 30 units made world wide in this rose gold case. 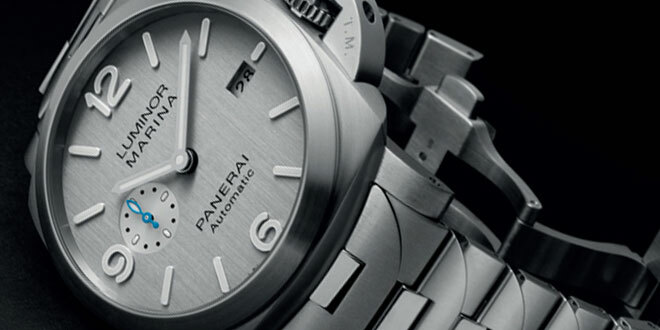 The PAM558 features the Panerai P.2005 calibre Tourbillon movement. 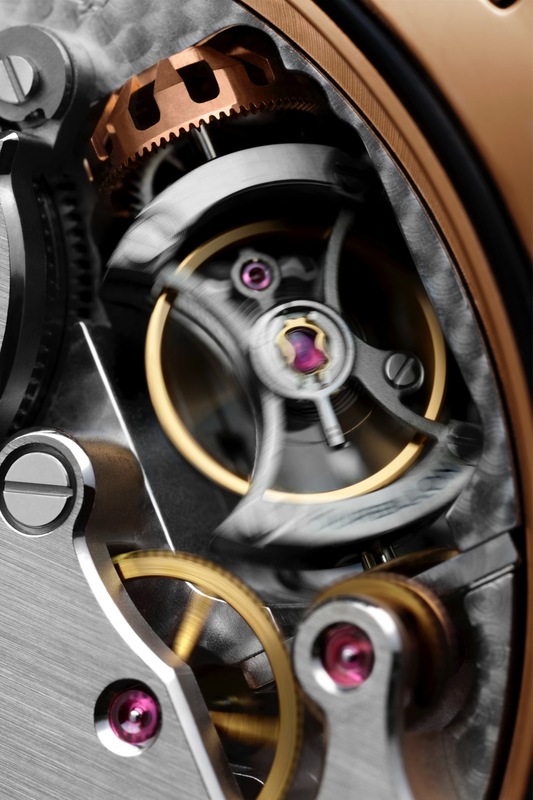 The Tourbillon regulator is one of the most sophisticated complications available in a watch today. This complication which was invented almost 2 centuries ago was made to eliminate changes of rate in pocket watches caused by the effect of gravity. On a traditional Tourbillon, the balance escapement assembly rotates continuously on it’s own axis to compensate for these errors in rate. In the P.2005, the case which contains the balance and escapement rotates on an axis which is perpendicular to that of the balance instead of parallel to it, and a rotation is completed in thirty seconds which is twice the speed of a traditional one. Because of this minor changes to the Tourbillon movement, the Panerai Tourbillon compensates much better for inaccuracies. Along with the amazing complication of the Tourbillon the movement also has a 24H GMT function with AM/PM indicator for you to keep track of a second time zone. 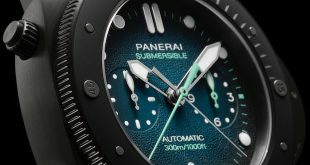 The power reserve which is 6 days on this particular movement can be views through the see through crystal case back on the reserve indicator. 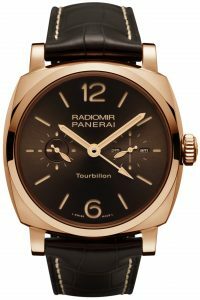 The PAM558 is all houses in a an amazing 48mm 1940’s Radiomor in rose gold and features a brown satin soleil dial that gives off a beautiful reflection and contrasts beautifully with the gold hands and accents of the watch. 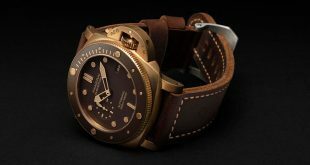 I think this piece is definitely a beauty and testament to the great work and design of Panerai. 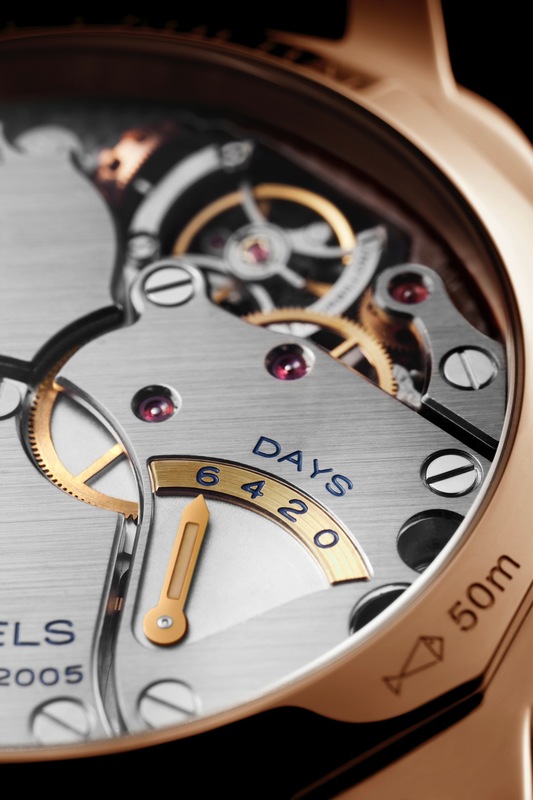 The only thing I personally would have loved to see on this model have an opening to show off the Tourbillon movement working like it has in it’s ceramic Tourbillon pieces. 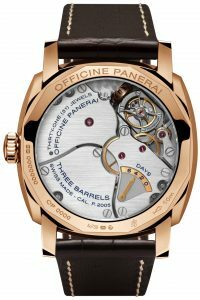 MOVEMENT: hand-wound mechanical, Panerai P.2005 calibre, executed entirely by Panerai, 16. lignes, 9.1 mm thick, 31 jewels, Glucydur® balance, 28,800 alternations/hour. KIF Parechoc® anti-shock device. Power reserve 6 days, three barrels. 239 components. CASE: Diameter 48 mm, 18 ct. polished red gold. 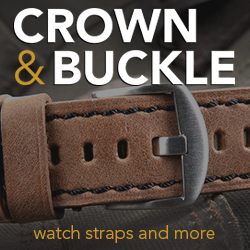 Screw-down winding crown personalized OP. BEZEL: 118 ct. polished red gold. 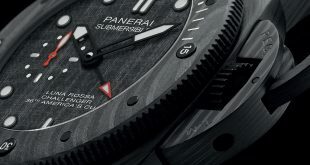 BACK: See-through sapphire crystal. 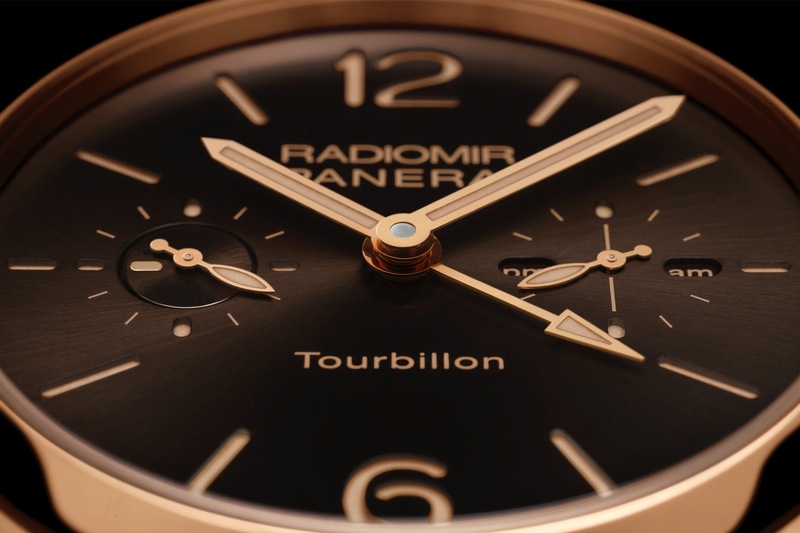 DIAL: Brown, with luminous Arabic numerals and hour markers. 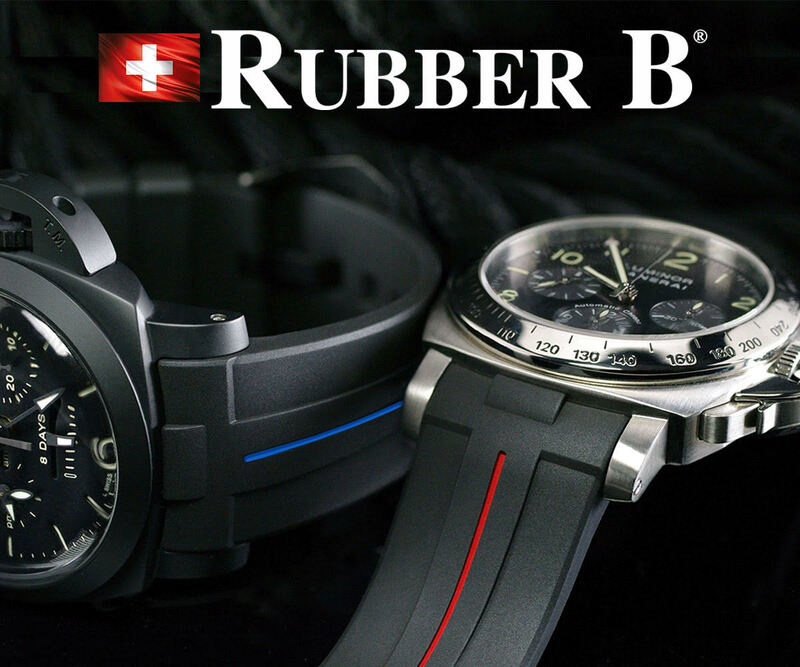 24h indicator at 3 o’clock, seconds and tourbillon indicator at 9 o’clock. CRYSTAL: Sapphire, formed of corundum, 1,5 mm thick. Anti-reflective coating. 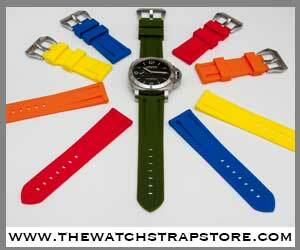 STRAP: PANERAI personalized alligator strap and polished 18 ct. red gold adjustable buckle.